Tanks that were designed during World War II according to updated requirements. This is a mixed branch, consisting of light and medium tanks. 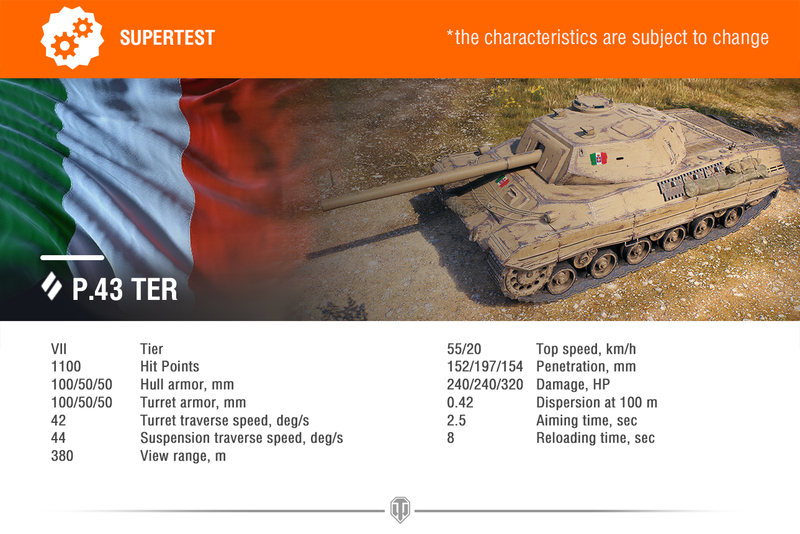 The first four Tiers are the dawn of Italy’s tank industry. 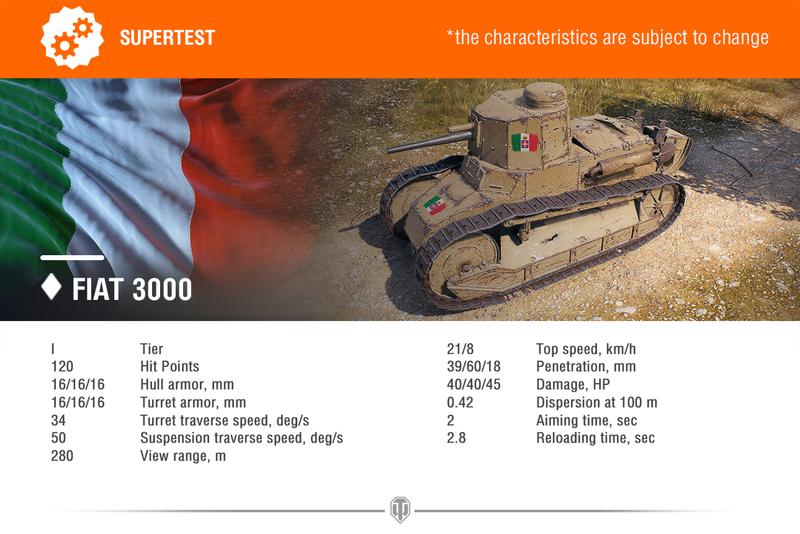 Tier I is occupied by Fiat 3000, based on the French Renault FT light tank. Tier II houses the M14/41 and the L6/40. 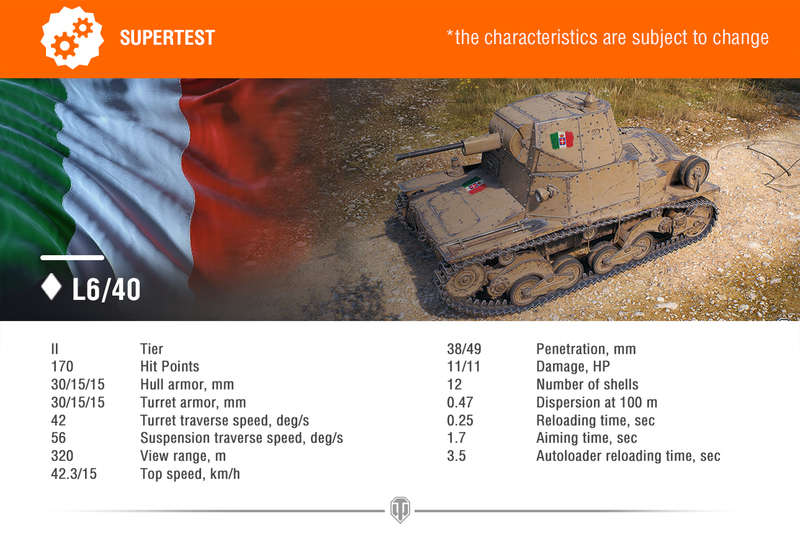 Both vehicles were mass produced and used by Italian armed forces, so they definitely couldn’t be neglected. The M15/42 sitting on Tier III was assembled in large amounts, too. The P26/40 medium tank (Tier IV) was the heaviest hitting tank in the Italian army during WWII, carrying thick armor and a 75 mm cannon. The P26/40 gameplay may be called ‘transitional’ between that of the starting and mid-tier vehicles. 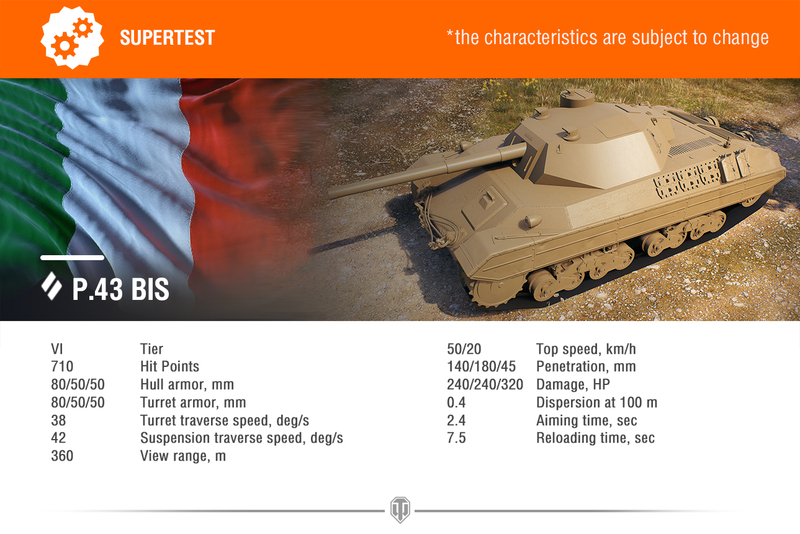 Tiers V–VII are based on WWII concepts that followed the common design tendencies of the era, emphasizing protection and firepower. The P.43 rolls from mid-1940’s straight into Tier V. The P.43 bis (Tier VI) takes a big step forward with 90 mm cannon and solid frontal armor (and with its looks as well, being a tad futuristic for its age). It’s somewhat slow, but its successor the P.43 ter (Tier VII) improves on that, also offering an enlarged turret, a longer barrel, and a better suspension. Info on the top-tier Italians will be released later, because these vehicles deserve an in-depth look: beginning with Tier VIII, the tanks in this branch receive its signature ‘autoreloader’ system. 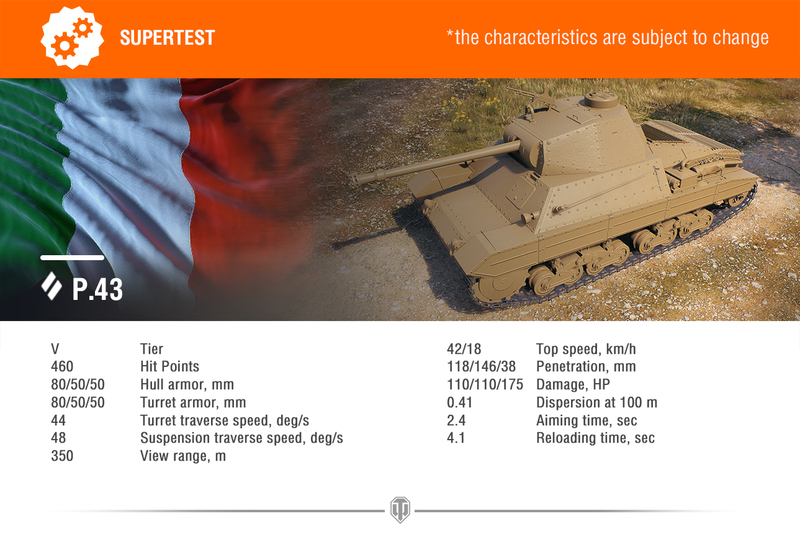 *Tier VII P.43 TER HE penetration value is wrong in the image. It shows 154mm when the correct value is 45mm. That tier 7 looks weird to me, 154mm of HE penetration with 320 dmg whilst the standard rounds have 152mm pen and 240 alpha? Yeah, noticed that! It’s a mistake WG EU made, it’s actually 45mm pen for HE shells. Is that confirmed? Because then it has a worse gun that its predecessor which would be really silly. Yea it’s confirmed. Just look at the images the RU released. I’ll post full stats today, just getting all info ready to be published. It’s not like a scout’s main purpose is to go 1v1 with a much stronger tank destroyer. Tier 6 and 7 tanks are looking like they could be much fun. That is great. I wouldn’t want to grind through mediocre boring tanks just to get to autoloaders like in Czechoslovak line. Looks interesting so far. I’m curious to see how the top tiers look like, but so far this might be on my “to grind” list. Tier 7 looks as bland as all other tier 7 meds. It does have 100mm angled upper plate so it might bounce a shot or two, but that gun look pretty bad. 0,42 accuracy on a 240 alpha, 152 pen, 8 sec reload gun doesnt seem good at all.